Copyright © 1999 The Centre for Photographic Conservation All photographs on the The Centre for Photographic Conservation web site are the property of the The Centre. Copying Rights and Reproductions require written permission of The Centre. Please respect our copyright. One of the Moor's favourite courses. The father of modern photography. "What's yer best price on this Guv'?" Some more of The Centre’s "Alumni and volunteers"
The main focus of The Centre's work is active preservation and interventive conservation techniques for photographic negative and positive material. In the late 1970's and early 1980's The Centre undertook some major identification, condition, preservation and conservation surveys for a number of national collections. This was at a time when photographic collections were still "sleeping giants", often unappreciated and at their best were the subject of benign neglect. Survey reports produced by The Centre always conclude with preservation and conservation recommendations and where appropriate work programmes. That institutions were commissioning surveys of their photographic collections happily reflected their growing concern for these sensitive materials. However, what our surveys invariably highlighted was that whilst they had proven knowledge and expertise in other fields of preservation and conservation they were woefully short of the same level of expertise with respect to photographic materials. Therefore, any recommendations could not, or could only partially, be implemented. It was by request that the Moors set up their first training course in 1982, The Preservation and Conservation of Photographic Materials (Theory), which was aimed initially at curators, archivists and those with the administrative care of photographic collections as a whole. It was from these small beginnings then that The Centre's courses came into existence. Many of the courses now offered by The Centre have sprung from a similar root. The courses at The Centre are intensive and all adhere to a programme. Each year the Moors strive to impart information more clearly, to improve teaching methods, and to share their expertise and skills by demonstration or example, thereby always seeking to raise the standard. Despite expecting course participants to work hard Ian and Angela endeavour to create a relaxed, friendly atmosphere. Class sizes are small which encourages participants to feel at ease and free to ask questions and take part in discussions. This alfresco scene shows, left to right, Helen Sharp, Angela Moor, Ian Moor, Nick Berkeley, Montse Noguera and Sarah Lewery taking a lunch break in The Centre's garden. 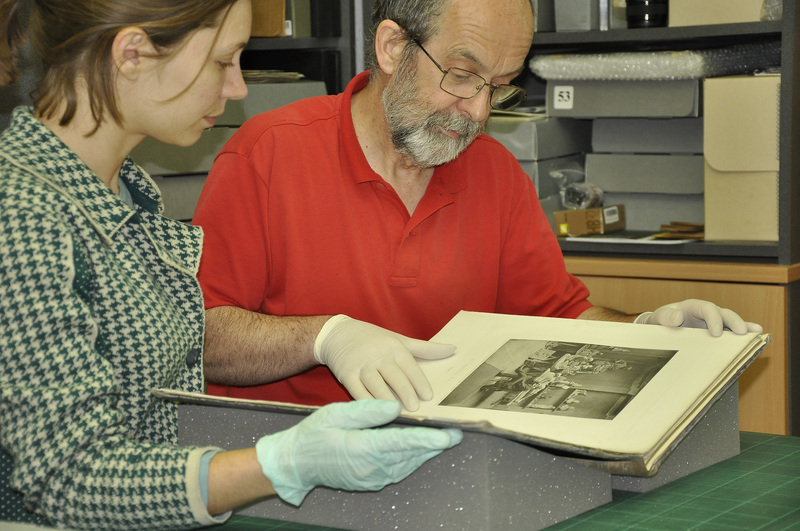 One of the Moor's favourite courses is Rediscovering Historic Photographs Processes. For the majority of people, if all they have ever seen of the first photographic images are faded originals or poor reproductions, then they would be forgiven for thinking that these early photographs, particularly photogenic drawings and salted paper prints, were crude and unsophisticated, lacking in brilliance and detail. Participants on the Rediscovering... course quickly discover that nothing could be further from the truth. This iodide stabilised photogenic drawing, from The Centre's Portfolio, of "Convulvulus", also known as "Bindweed (UK)" or "Morning Glory (USA)" delineates this delicate and sinuous plant and captures some of its intensity and beauty. As a photograph it also has a breathtaking quality of its own, that beggars belief, being far from crude, unsophisticated and lacking in detail. It has an intensity and depth of colour, a luxurious velvety texture and brilliant detail. Participants of the course not only produce a portfolio of all the processes covered, which enhance and illustrate the course Handbook, but more importantly they can not fail to build upon any previous knowledge or experience of early photographic processes. This engenders a deeper understanding and appreciation of their material qualities and chemistry which affects not only their inherent visual qualities but also their long-term stability and preservation needs. "The father of modern photography"
Even as a young child, Henry Talbot, more commonly referred to today as William Henry Fox Talbot, the father of modern photography, showed an enthusiastic passion for chemistry. Age twelve writing to his mother, Lady Elizabeth Fielding, from his school at Harrow (on the Hill) he enthused "you can have no idea with what vigour I pursue my favourite science of chemistry here ----- which at present engrosses all my attention --- Chemistry is what I cannot get tired of." After a brief dabble in politics, as a young man, he returned to his real passion and interests, astronomy, optics, botany, mathematics, crystallography, etymology, theoretical physics, Assyriology, languages and travel. Despite his eclectic interests in which he had formidable gifts and made major contributions to science and academia Talbot is most honoured and remembered for his inventions in photography. Talbots father died when he was a few months old and Lady Elizabeth married a Captain Fielding R.N., His relationship with the Captain was excellent but it was his mother who was a major supportive influence on Talbots academic pursuits and achievements. His mother and two half sisters from this second marriage were accomplished artists as was his wife Constance. It is thought that it was on a sketching trip with his sister Caroline that Talbot had his first thoughts on photography, possibly because his own efforts at draughtsmanship filled him with chagrin, the following quote is from his diary written in Italy in 1833. "the faithless pencil had only left traces on the paper melancholy to behold." Returning from Italy on January 11th 1834 Talbot was determined to actively pursue his notion that ".... how charming it would be if it were possible to cause these natural images to imprint themselves durably, and remain fixed upon paper! 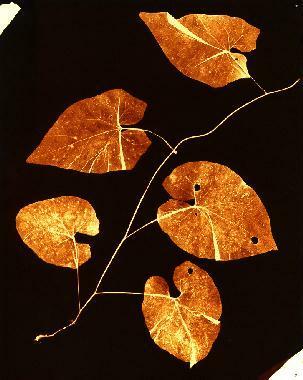 ", ....... "These natural images" that Talbot referred to were "...... the inimitable beauty of the pictures of nature's painting, which the glass lens of the camera (obscura) throws upon the paper in its focus - fairy pictures, creations of a moment, and destined as rapidly to fade away." Talbot commenced his "photographic" experiments in the spring of 1834 beginning, as others had done before him with silver nitrate ..."since, according to chemical writers, the nitrate of silver is a substance peculiarly sensitive to the action of light, ..."
Talbot quickly realised that silver nitrate and indeed coating paper with freshly prepared precipitated silver chloride lacked the sensitivity required. Even forming silver chloride directly on paper with separate coatings of common salt (sodium chloride) and silver nitrate fared no better. To say that observation is the stuff of science is certainly true of Talbot. He quickly realised that there was a fundamental relationship between the relative proportions of sodium chloride to silver nitrate and image density, resulting from their combination on exposure to light. He concluded that a deficiency of salt increased sensitivity to light whereas an excess of salt decreased its sensitivity. Talbot was not only able to increase the sensitivity of his sensitised papers, but having produced the image, he was able to prevent it being further acted upon by light. Stabilisation was possible. In addition to stabilising his images with sodium chloride Talbot also then employed potassium iodide as a stabiliser because he found that an excess of this salt also decreased sensitivity in his silver chloride paper. 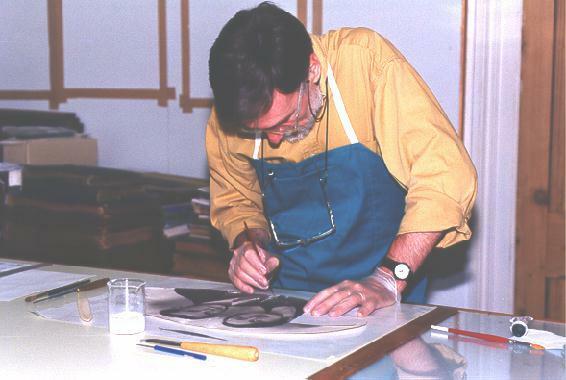 The above photograph, left, shows printing frames being used to 'print-out' 'photogenic drawings', one of a number of processes participants undertake on the course. By placing a semi transparent object, whether it be a botanical specimen, a feather or a piece of textile such as lace, between the cover glass of a 'printing-out' frame and a piece of paper with an applied light sensitive coating of silver chloride and then exposing it to sunlight, areas of the light sensitive coated paper not masked by the object will darken as the light sensitive silver chloride is changed, by the photochemical reaction, to silver metal. The areas masked by the object will remain unchanged. Where light is able to penetrate the object to varying degrees, because of its differing density, then a partial darkening will occur providing detail and intermediate tonal densities. The final result is to produce an accurate outline or profile, as Thomas Wedgewood called it, of the object itself. This negative image Talbot called a 'photogenic drawing'. 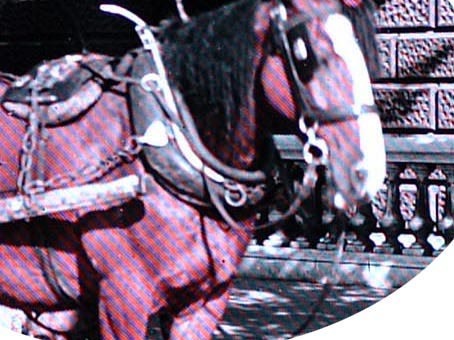 The second photograph shows such an image after 'printing-out' in the frame. Here the density and detail of the photogenic drawing formed by the object, in this case a feather, is being checked to assess whether the exposure is complete and can be stopped and the photochemical reaction stabilised. Talbot also realised that he could use the photogenic drawing, which is a negative image, as an object itself, which when placed in contact with another sheet of light sensitive paper in a 'printing-out' frame will when exposed to light produce a positive image. It is this process and observation that is the basis of photography up to the present day. 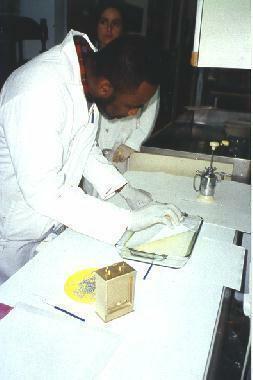 In this photograph Hector Browne from Barbados, watched by Arantza Platero Otsoa from Spain, is coating paper with egg white, also known as albumen, which contains sodium chloride (common salt). When this paper is coated again, this time with silver nitrate, the salt reacts and combines with the silver solution to produce a light sensitive coating of silver chloride within the albumen layer. Hector is making albumen paper which is a printing-out paper, like the photogenic drawing and salted paper printing papers. It is contact printed with a paper or glass negative in a printing-out frame to produce an albumen print. 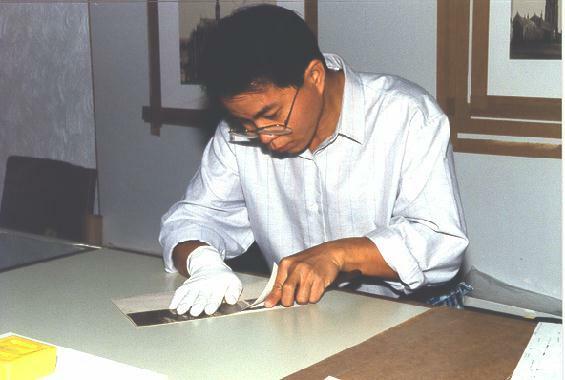 Within The Centre's seven week "Certificated" and four week advanced MASTER CLASS I courses strong emphasis is placed upon the teaching of interventive conservation and restoration treatment techniques for photographic materials. 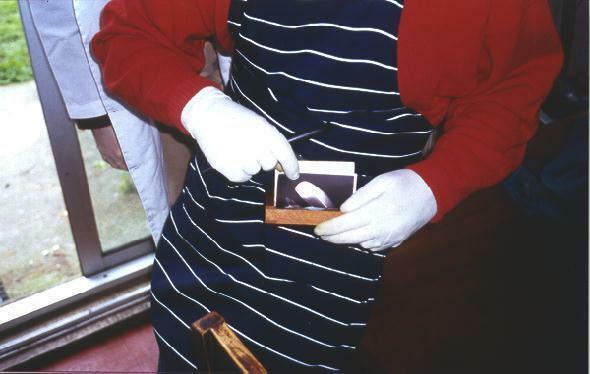 One element of the practical programme is the treatment of cased and framed photographic materials. This section not only addresses the treatment of the photographs it also includes their physical environment, mounting and presentation systems. On the work top is a range of historical passe-partouts drawn from The Centre's teaching collection. 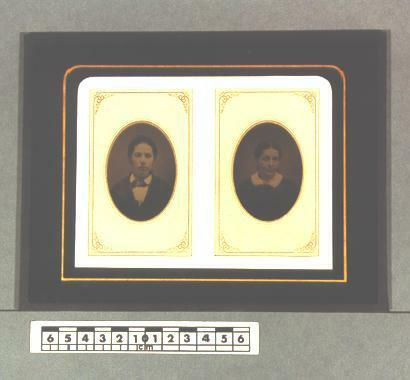 Historically a passe-partout was a decorative, painted cover glass used to display and package cased or framed photographs, such as daguerreotypes, wet-collodion positives (often erroneously called “Ambrotype” see references), tintypes (a wet collodion variant), and even prints. The term was also used to describe the black gummed paper binding strip used to bind lantern slides or glazed photographs generally. Thin black wooden frames historically may also be referred to as passe-partouts. 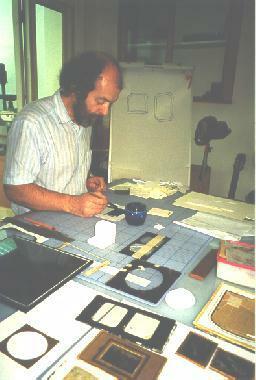 In the photograph Ian Moor is demonstrating techniques to restore an original passe-partout or produce a facsimile of an original passe-partout. Facsimiles are made when original passe-partouts are damaged beyond repair or when mounting loose, historical image plates in order to present and store them in a physical environment that is both aesthetically pleasing and in keeping with their historical context. 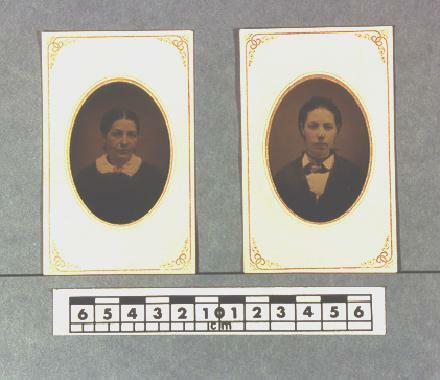 Image one above shows two loose, related (origin USA Mammoth Gallery Philadelphia), tintypes in their card mounts that were subsequently mounted and presented within a facsimile passe-partout. The passe-partout is glazed both sides and edge bound in order to reveal historical information on the verso of the tintype card mounts. This work was undertaken by Iwan Bryn Jones who attended The Centre's "Certificated" course in 1993. The Conservation documentation record for this project is retained within The Center's Conservation Treatment Archive. This photograph on the left shows Chan Yak Hock from Singapore dry splitting a mounted albumen print. Dry splitting historic, original mounts or dry splitting photographs from the face of original mounts is one technique taught as part of a comprehensive treatment strategy for mounted photographs. It is particularly useful for minimising treatment time, particularly where treatment procedures involves the use of controlled aqueous treatments and when preserving original mounts and therefore the historic integrity of the artefact. This photograph on the right shows Sarah Lewery applying a passe-partout binder to a glazed, restored gelatine dry-plate negative. This is one treatment option for the preservation for smashed glass plate negatives. 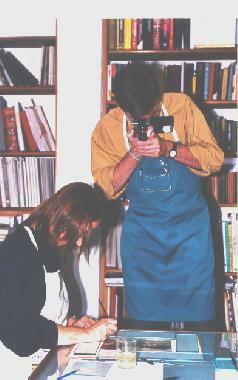 Manuel Serra from Barcelona, attending the four week advanced course MASTER CLASS in 1998, taking documentary photographs, as part of the conservation treatment record of a collodio-chloride self-toning P.O.P. print being treated by Montse Noguera his wife and partner. Manuel and Montse attended The Centre's seven week "Certificated" course in 1995. Participation in the 1998 course enabled them to revise and build upon the knowledge and skills they had acquired in the earlier course. Manuel is repairing and consolidating surface physical damage and loss to a Mat gelatine bromide "Crayon" portrait. 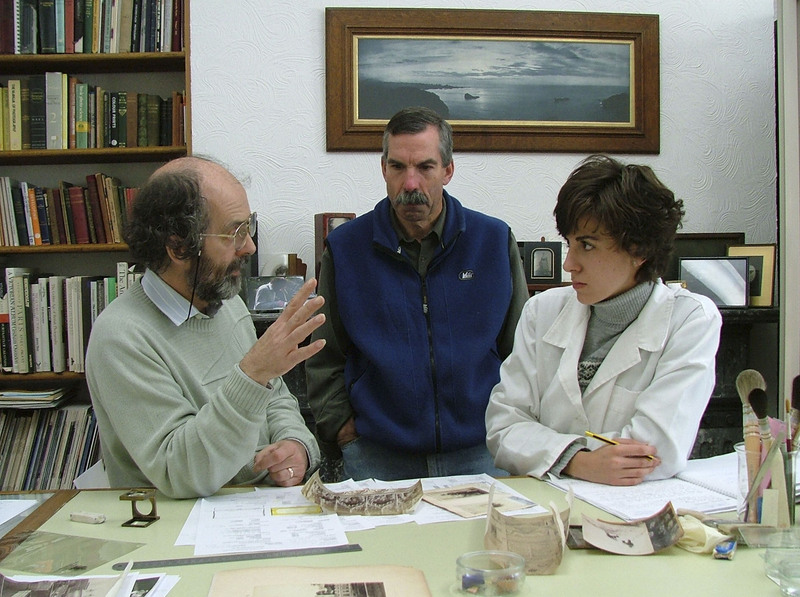 Ian Moor discussing with Antoni Bonaventura Pallarès Davó from Spain, his course work undertaken during the seven week "Certificated" course in 1999. All course work is assessed during and at the end of the course. Assessment of course work undertaken ensures that the information content of the course and the techniques taught have been fully understood and applied.The Centre's "Certificate" is only awarded to participants who meet the required standard of work. 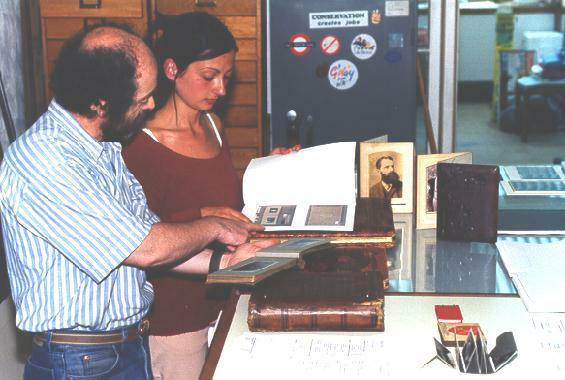 As part of the seven week "Certificated" course in 1999 Nausicaa Rigassi, from Switzerland, undertook a short research project on a group of photograph albums in The Centre's Teaching Collection. Her project was presented as a poster exhibit at the Photographic Materials Conservation Group Meeting at Birmingham in July 1999. Here Ian discusses with Nausicaa aspects of her project as part of her assessment. 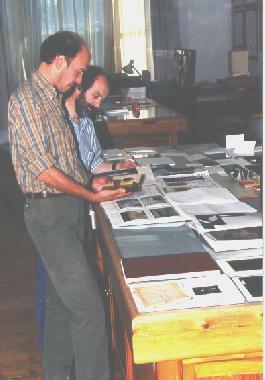 The Centre's teaching collection contains images which illustrate the many photographic processes, process characteristics, image degradation products, mounting techniques and methods of display. 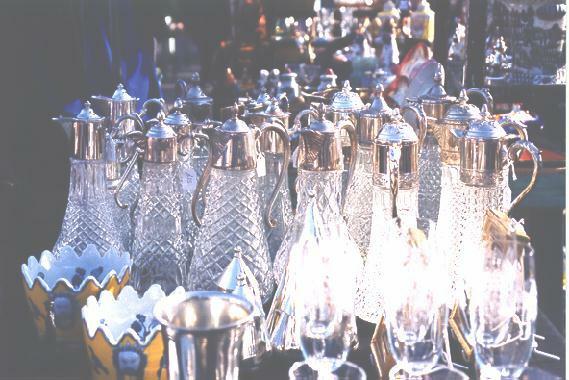 The Moors continue to add to this collection and often visit Bermondsey antique market and other notable antique and photographic auctions, fairs and markets in and around London. Bermondsey is a very early morning start, the market starts at 4.00am, and although not part of the curriculum participants of The Centre's"Certificated" seven week course and four week MASTER CLASS I & II have the opportunity to accompany Ian and Angela on these trips. 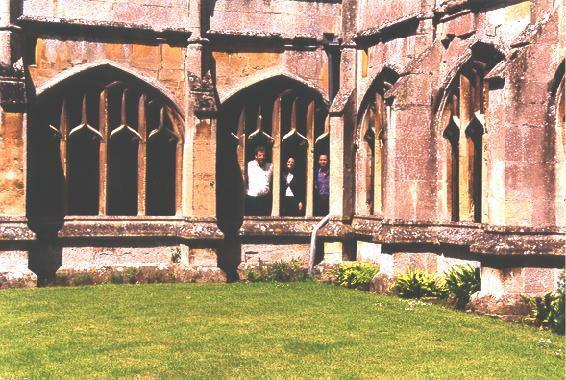 Visits are also organised to Lacock Abbey and the Fox Talbot Museum at Lacock in Wiltshire, and other centres relating to photography and pertinent to the courses. 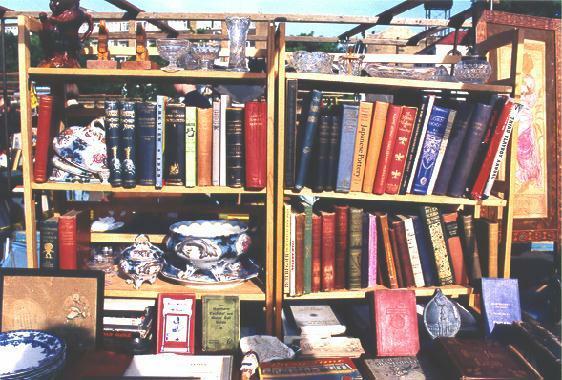 There is nothing quite as enjoyable as a 'crisp' morning browsing round the market, listening to the dawn chorus "What's yer best price on this Guv'?" 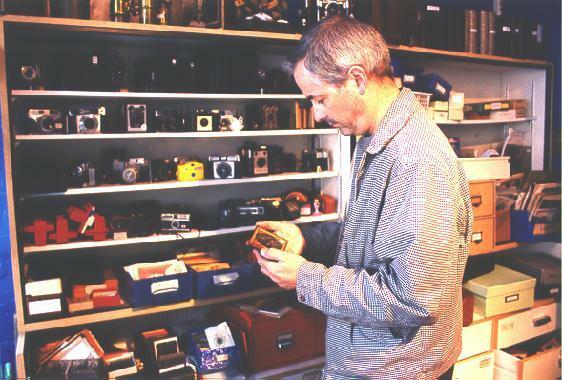 "It's like a museum where you get to touch the objects, and if you can afford it, even get to take them home". In Talbot's publication "The Pencil of Nature" printed in fascicules between 1844-1846, with its images of statues, glassware and books it is clear that he had grasped from the outset of his invention the breadth of application for photography. Talbot envisioned the use of the "Photographic Art" not just for portraiture, architecture, travel and landscape but also for copying manuscripts, objects and works of art not just for pleasure but as an inventory. "...the whole cabinet of a Virtuoso and collector of old China might be depicted on paper in little more time than it would take him to make a written inventory describing it in the usual way. The more strange and fantastic the forms of his old teapots, the more advantage in having their pictures given instead of their description. 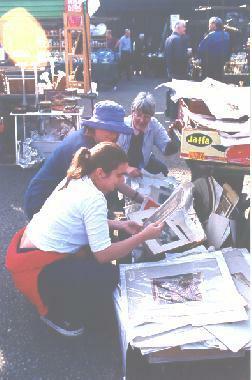 Angela Moor rummaging through boxes at a stall with Anita Gustavson from Australia and Patricia Falcao from Portugal, who attended the advanced course Conserving Photographs 2. at The Centre in 1999. 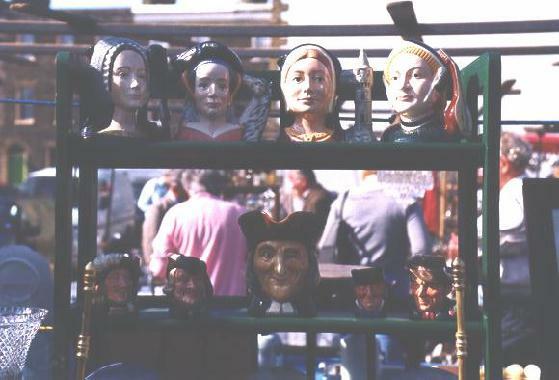 Prices at the market can range from a few pounds to thousands and some stalls even take "credit cards". You never can tell what you will find. There is always the excitement of the hunt, with the hope of finding something rare, beautiful and cheap! Ian and Angela have an ulterior motive for getting the students out of their beds at the crack of dawn, their excuse, that it is a good exercise in image process identification and an ideal opportunity to build up a collection of comparative study images. It is no secret, however, that after an EARLY morning wandering about the market the tradition is that students treat the Moors to a Traditional English Breakfast at a "greasy spoon cafe" close by the market. Nick Berkley examining a cased wet-collodion positive on one of the Moor's 'photo' safaris Nick, from The Royal Commission on Historical Monuments new Archive at Swindon, attended a number of The Centre's courses in 1998, including a basic four week practical workshop run by special arrangement and, running parallel to the advanced course. Whilst with the Moors at Bermondsey Nick was able to purchase an important album of platinum prints by Bedford Lemere for the RCHM. Lemere specialised in producing records of important houses and estates, their images are particularly notable because of their superb interiors. The RCHM hold the Archive and Negatives of Bedford Lemere and this particular album filled a gap in the collection, RCHM had the negatives but not the prints. Within the course curriculum of The Centre's"Certificated" seven week course there are two short research projects, participants are given the choice of subjects which all have a direct bearing on what they will learn and experience at The Centre. They have the resources of The Centre’s Collections and Library for their assistance and may discuss their ideas, conclusions and research with Ian Moor and Angela Moor. Participants are encouraged to use these projects to form the basis for a lecture or presentation to enhance their Curriculum Vitae after the conclusion of the course. In 2003 Elizabeth Hadlow from the Australian National Maritime Museum Sydney Australia chose the documentation of an Album from The Centre’s collection the project title. 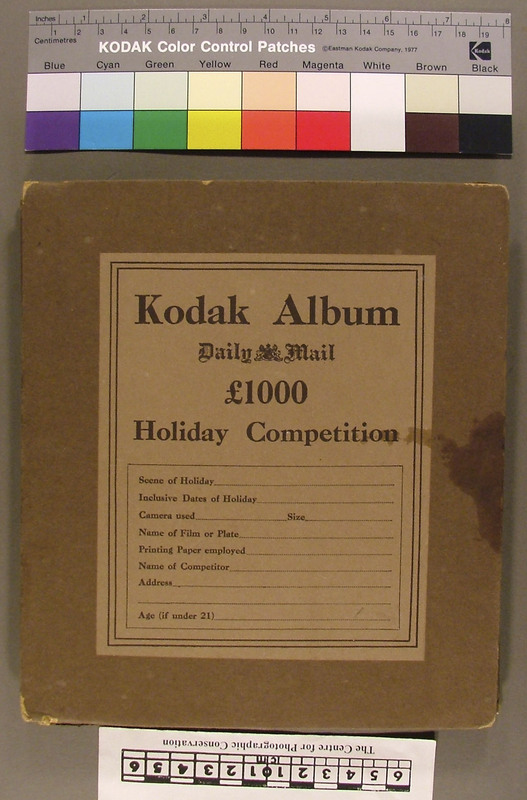 "On a given object produce a brief historical outline of the process, conservation documentation and a proposal for its treatment: Kodak Album: Daily Mail £1000 Holiday Competition”. Elizabeth’s project produced an excellent documentary record, extensively illustrated, of a quite complex concertina Album. Her project, which considerably enhanced the provenance of this work is now part of The Centre’s Conservation Treatment Archive. S. Girikumar from New Delhi, India who attended The Centre’s "Certificated" course in 2000 and four week Master Class in 2002 gave a lecture and a poster display, “A Note on the Conservation of Photographic Materials in India”, at the Photographic Materials Conservation Group Meeting in November 2002 utilizing images and materials from The Centre’s Collection and the Moor Private Collection. 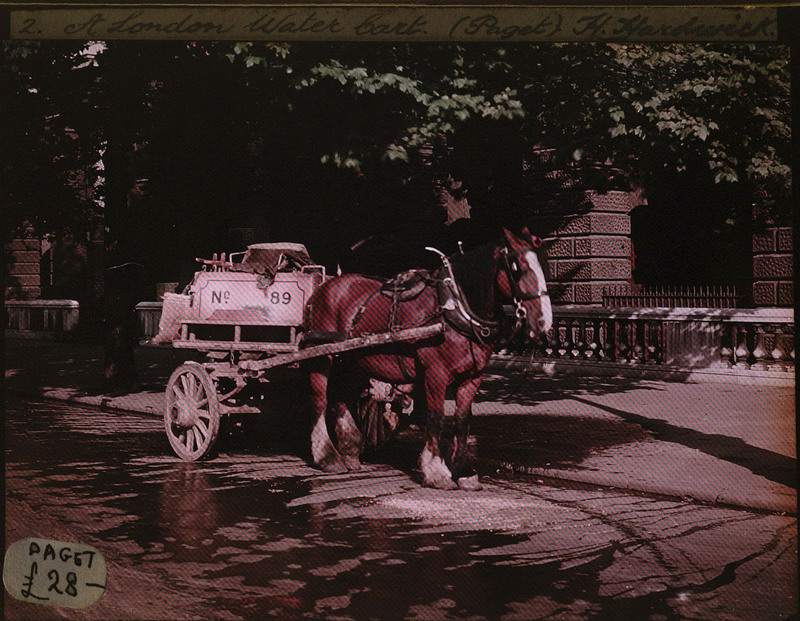 In 2000 Dino Makridis undertook a project on Tri-color screen processes, this detail from the Paget tri-colour screen plate of a "Water Cart No 89" circa 1912 clearly shows the printed colour distribution patterns. Through out The Centre’s courses participant are encouraged to photograph the work studies they undertake. In November 2005 Sun Hee Park Ogdon recently graduated from Camberwell School of Arts and Crafts, Roderick Ewart from the Akershus Fylkesmuseum, Norway and Dino Makridis Trondelag Folkemuseum, Torndheim, Norway who attended The Centre’s seven week “Certificated” Course and four week Master Class between 2001 and 2004 produced Power Point Presentations of work studies which they presented at The Photographic Materials Conservation Group Meeting at The National Gallery London. Here Ian Moor discusses their work-studies with Rosina Herrera from Spain and Standford Groetzinger from the USA who were participants on The Centre’s “Certificated” 2003 course. 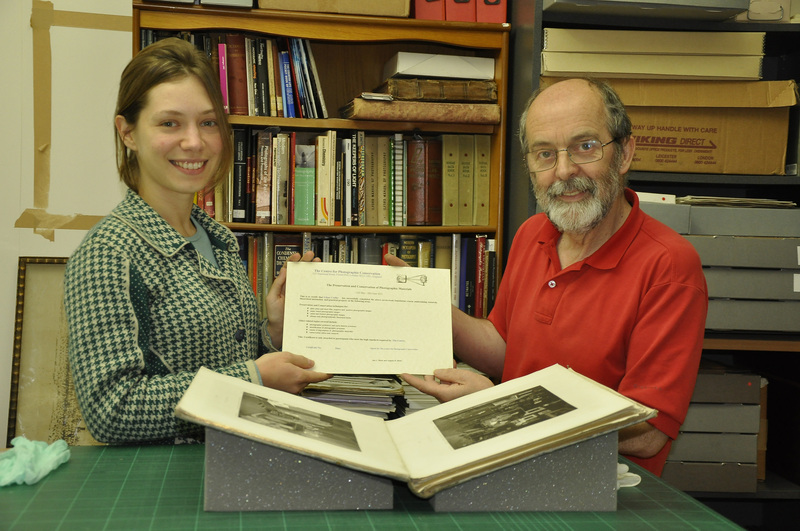 Lilian Coelho receiving her Certificate from Ian Moor after successfully completing The Centre's “Certificated” seven week Preservation and Conservation of Photographic Materials course in July 2013. Lilian Coelho and Ian Moor examining a photographically illustrated printed book entitled 'Artists at Home' illustrated with Photogravures by J. P. Mayall printed in 1884. Lilian from Assis in the State of Sao Paulo Brazil attended The Centre's “Certificated” 7 Week Preservation and Conservation of Photographic Material course and Master Class I from May to August 2013. 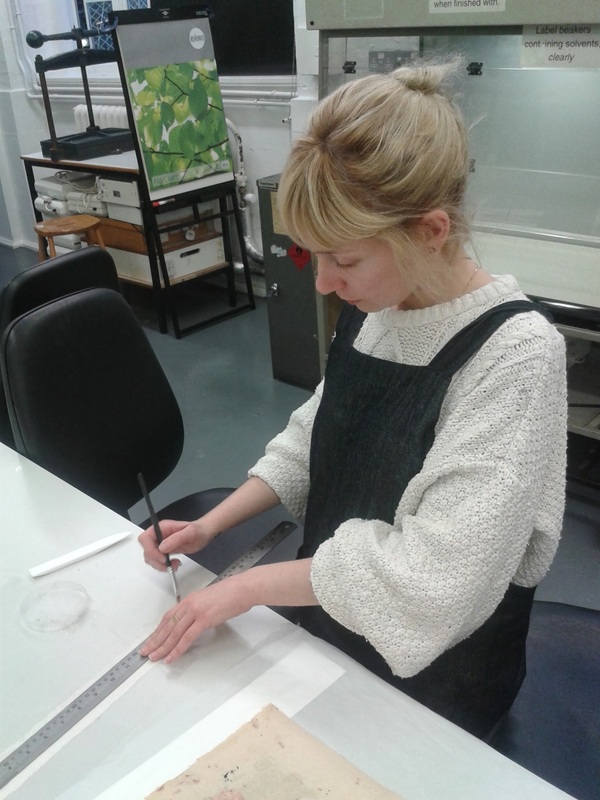 Throughout September Lilian continued to attended The Centre as a volunteer assisting with a number of projects including the production of facsimile albumen prints for an exhibition. 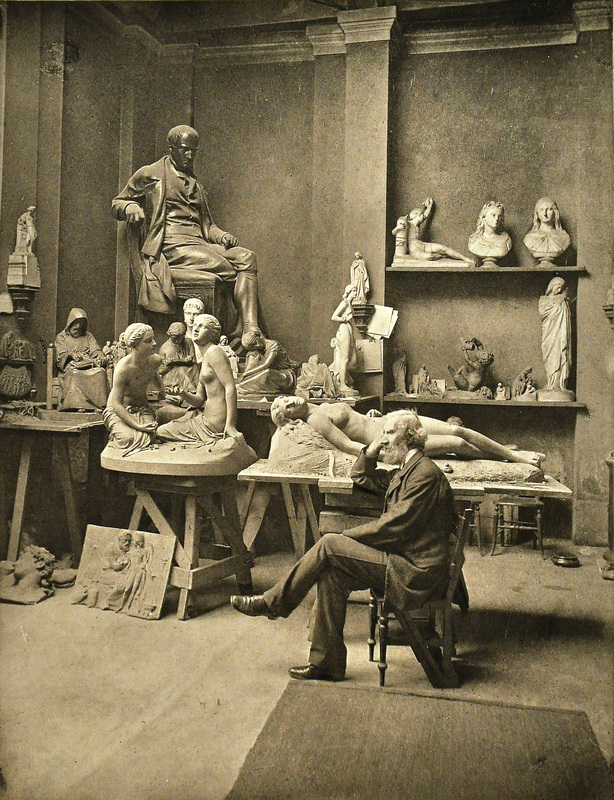 A photogravure of the studio of W. C. Marshall, RA 1813-1894 photographed by J. P. Mayall 1884. One of the images from the photographically illustrated printed book entitled Artists at Home' one of the many albums, photographically illustrated printed books and photographically illustrated books in The Centre's Collection. 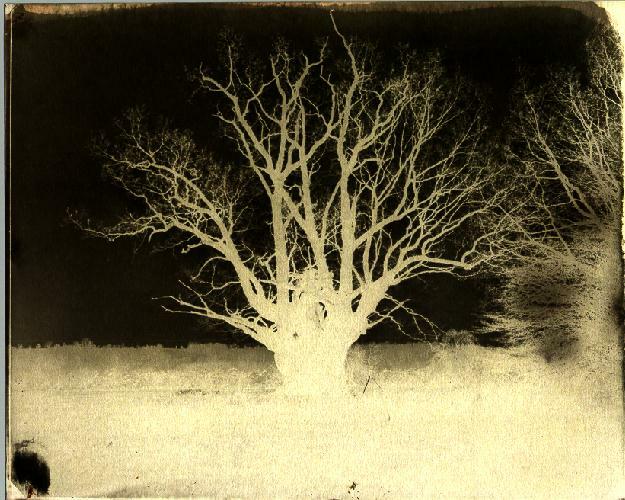 The Photogravure process also later known as the Talbot-Klic process was introduced in 1879-1880. Gillian Marcus from St Louise Missouri America who has recently graduated from Camberwell College of Art - University of the Arts London has been a volunteer at The Centre since 2013. 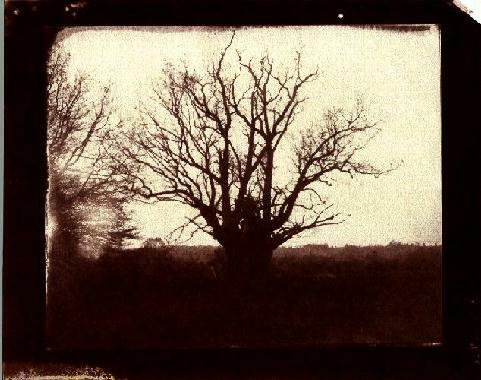 Whilst at The Centre Gillian undertook a survey of daguerreotypes, wet collodion positives, pannotypes and tintypes. 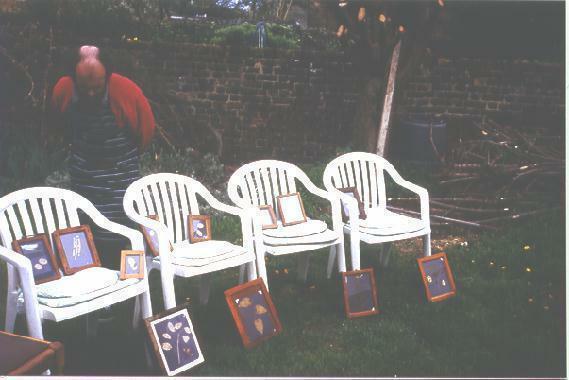 Her survey included documenting the condition of each item, scanning each image and entering the information in to The Centre's database and producing an Excel spread sheet. The survey covered over 200 items. 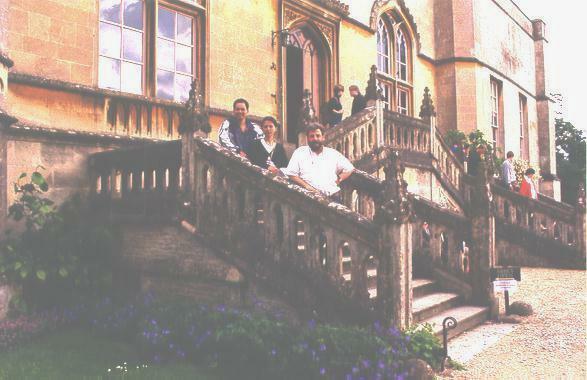 Elizabeth Hadlow from Australia, Rosina Herrera, and her father who visited her at The Centre, standing on the steps leading up to main door to the Abbey in June 1999. At the top of the stairs is the Great Hall which was the venue for the Photographic Materials Conservation Group meeting in 1998. The cloisters part of the original Abbey dating from 1232. The first abbess was Ela, Countess of Salisbury, who was the widow of William, King Henry II's son, she is buried in the cloisters. 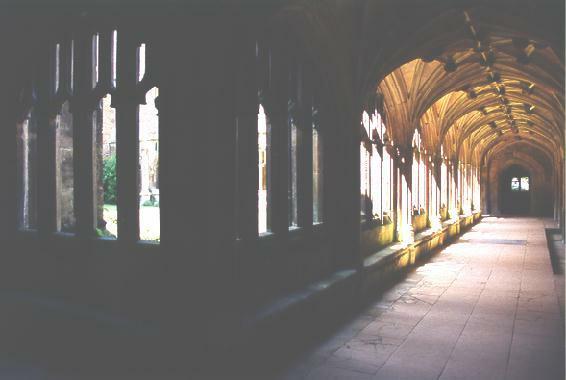 In the Pencil of Nature Talbot describes them as "The cloisters, however, in their present state are believed to be of the time of Henry VI. They range round three sides of a quadrangle, and are the most perfect which remain in any private residence in England." Talbot took many family and group portraits within the central grass rectangle of the cloisters. Not only the Father of Modern Photography Talbot was also a gifted scientist, mathematician and botanist. 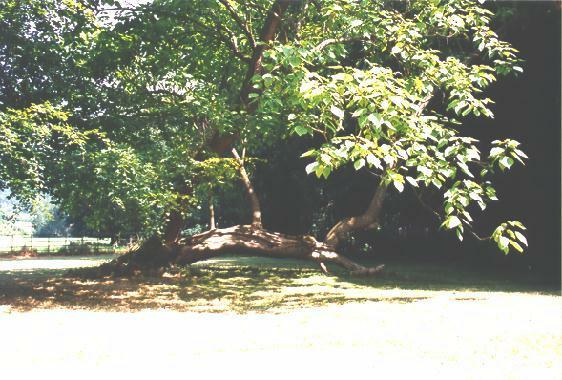 In the grounds of the Abbey there are many wonderfully mature trees planted under his direction including American Black Walnuts and Tulip Trees. 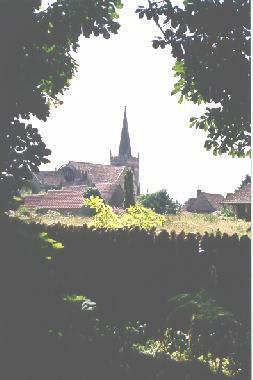 Talbot who died in 1877 is buried in the village and this view of St. Cyriac's church in Lacock is taken from the orchard at Lacock Abbey. The Ambrotype ( Wet-collodion positive ). Research into its Restoration and Conservation. Part 1. The Paper Conservator. Vol.1. 1976. Part 2. The Paper Conservator. Institute of Paper Conservation Vol.2. 1977. Ian L. Moor.